A seismic event can be an earthquake that is induced by man-made activities such as fluid injection, reservoir impoundment, mining, and other activities. In terms of EGS, an induced event would occur during the EGS operations of either fluid injection and/or withdrawal. The term “induced” has been used to include “triggered seismic events” and so sometimes the terms are used interchangeably. However, a triggered seismic event is one that is a result of failure along a pre-existing zone of weakness, e.g., a fault that is already critically stressed and is pushed to failure by a stress perturbation from natural or man-made activities. 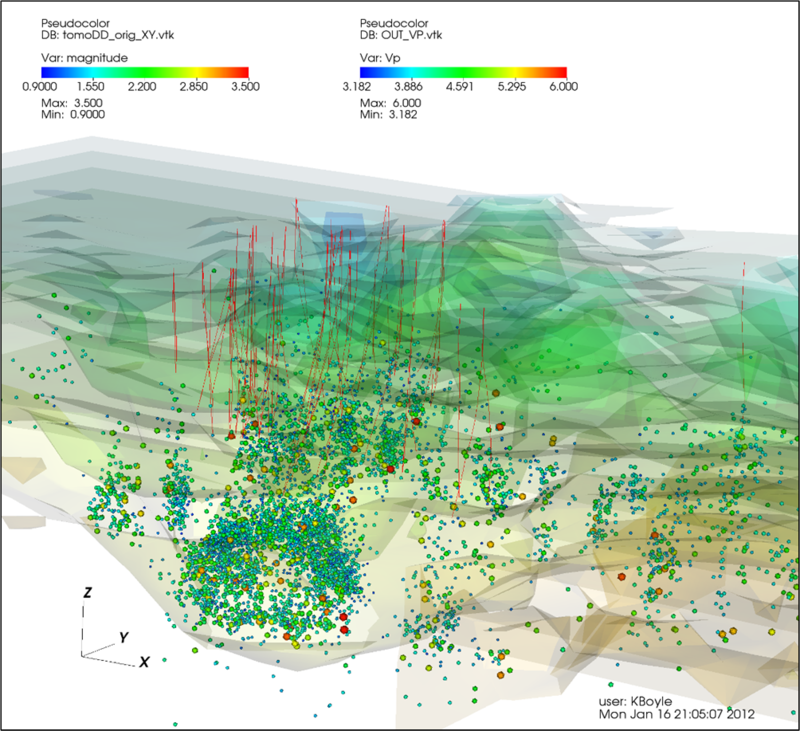 The terms “induced” and “triggered” are often used interchangeably in the literature on induced seismicity and by practitioners in those fields and in the field of seismology. In terms of the process of causing a seismic event, the two terms should be used differently although admittedly it is difficult to define where an induced seismic event should be called a triggered seismic event and vice versa. In this document we use the term “induced” to include all seismic events that result from fluid injection and will only use the term “triggered” in well-defined situations. The goal of Annex XI is to determine the steps needed to be taken to make EGS fluid injection a safe, useful and economic technology that is publicly acceptable and useful to the industry. This includes not only steps to allow acceptance of EGS technology by the public, regulators and policy makers, but also allows induced seismicity to become a useful tool to optimize EGS applications. Specific objectives are to reduce the uncertainty associated with both technical and public acceptability issues in order to facilitate and to accelerate the development of geothermal energy by: developing accepted approaches for addressing both technical and public acceptance isseus that industry can use as a guide; developing a structure and path forward of approaches to assess risk; identifying areas of research collaboration and cooperation; and identifying key roadblocks and areas of technology development and research. Annex XI works in cooperation with the International Partnership for Geothermal Technology (IPGT) Induced Seismicity Working Group, whose members, the United States, Australia, Iceland, Switzerland and New Zealand, are also members of the IEA Geothermal. The IPGT provides a forum for government and industry leaders to coordinate their efforts and collaborate on projects, mainly to accelerate EGS development. Participants share information on results and best practices to avoid blind alleys, limit unnecessary duplication, and efficiently accelerate the development of geothermal technologies. The work of Annex XI is conducted in two Tasks. This Task aims to i) develop a set of risk mitigation strategies and best practices to help stakeholders in all phases of a project; ii) create a functioning website for the Annex and iii) identify what should be communicated at each stage of a project. Seeks to i) identify terms and definitions based on significant published reports and create a glossary; ii) evaluate centralized data access and availability and develop a common understanding of an open data policy; and iii) establish the conditions by which a site can be defined as a global “demonstration” site, meeting a threshold of data quality, quantity and availability, and adherence to protocols.